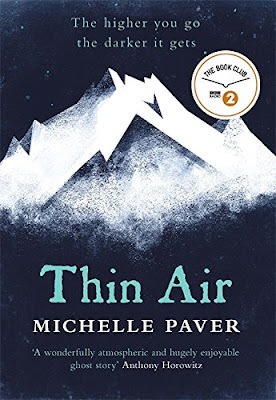 I'm a big fan of Michelle Paver's children's books, but Thin Air is her fast novel aimed at an older audience which I have read. I also love a gripping supernatural tale and good historical fiction, so this book, which combined all three of the above, was always bound to be a winner for me! The book starts off as a simple first-person account of a historic mountaineering expedition. 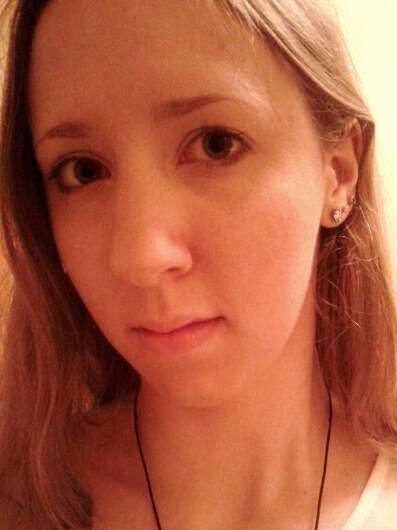 Interesting enough, but then along comes the supernatural twist. It's one of those slow-moving yet utterly gripping supernatural themes, almost more suited to a horror chiller than a mountaineering adventure. The pace is just right, slow enough to keep gathering tension until the figurative peak is reached towards the end. The story itself surprised me, too. It was clear that we were building towards a climax, but I found the ending to be unpredictable - I certainly didn't expect what happened! I've always said that Michelle Paver is a master storyteller, and this book only further exemplifies that. From the first page to the very last it grips you, making you want to read on to find out what happens in the end. The prose is lovely to read too, descriptive whilst still being uncluttered and to the point. The character of Stephen is the perfect narrator - as a doctor, he is well-suited to the writing style achieved as he is observant yet clinical, even to the very end. I also found Thin Air very interesting from a historical point of view. I have to confess that I don't know a lot about mountaineering or this part of the world, so the historical attitudes of the party towards the local people came as quite a shock. It's clear that Paver knows her stuff, and the wealth of research that must have been undertaken is clearly evident in the level of detail present throughout. Thin Air is available to buy now.